Please sign-in to access your account & reports. 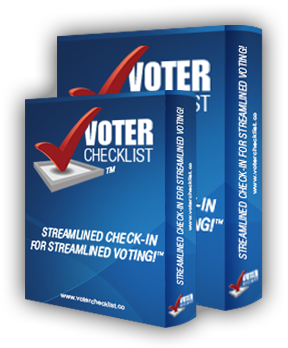 Voter CheckList™ is an innovative, secure electronic pollbook that can be used for your Town's Referendums, Municipal Elections, State Primaries, State Elections and Presidential Elections. Features: Loads State of Connecticut ConnVERse Data, Absentee Voting, In-Person Voting, Offline Reporting, Robust Online Reporting and Detailed Audit-Level Logging. For Polling Locations with an active internet connection, reports are securely updated in "real-time" and access can be given to your election officials and candidates looking for the latest status. If you would like try our product and/or see it in action, please call us today at (203) 598-1215 to schedule a demo or 30-day free trial. Please Note: We do not currently offer free trials of the product for use in an actual election.